Midnight in. is the first project of the newly founded Outsiders Agency, a group promoting parties and concerts throughout Europe with the goal of creating a musical network. The emphasis, however, is not just on the music, but also on mapping projections, a visual display that will be present at each show. Thus far, Midnight in. has happened in Toulouse, Florence, Turin, and Marseille, with Berlin next on the list. 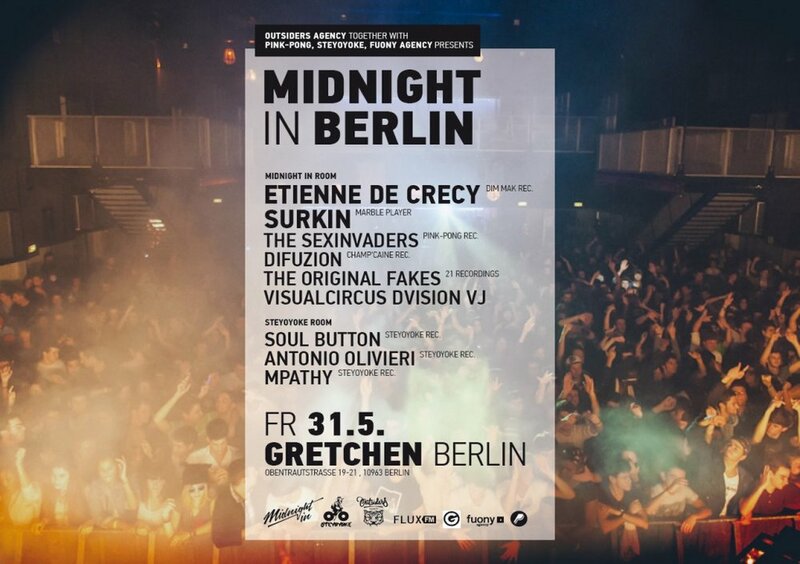 Gretchen, Obentrautstraße 19-21, 10963, Berlin; Tel: 0 30 25 92 27 02; U: Mehringdamm; admission €12.